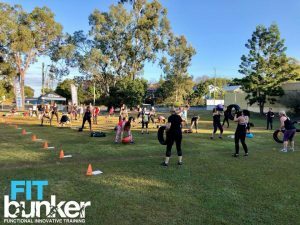 The awesome team at FIT Bunker Annerley are hosting and running a fantastic fundraising initiative on the 1st September at the Moorooka State School. They will be running a mass charity Fitness Bootcamp for the community in support of Australian farmers who are doing it pretty tough at the moment. This event is open to the public, everyone and anyone can attend. What is best yet, 100% of funds raised on the day will be going straight to the support of the farmers! LOCATION: Moorooka State School – Oval on Beaudesert Road. FEE: $10 cash per person on the day. Download the FIT BUNKER app on your phone, create an account and Select the “ANNERLEY” location. Book in the Bootcamp on the 1st September. Our Aussie Farmers are currently slogging it out through one of the worst droughts in history. They are doing absolutely everything they can to ensure we have the food on our table to feed our families each and every day.